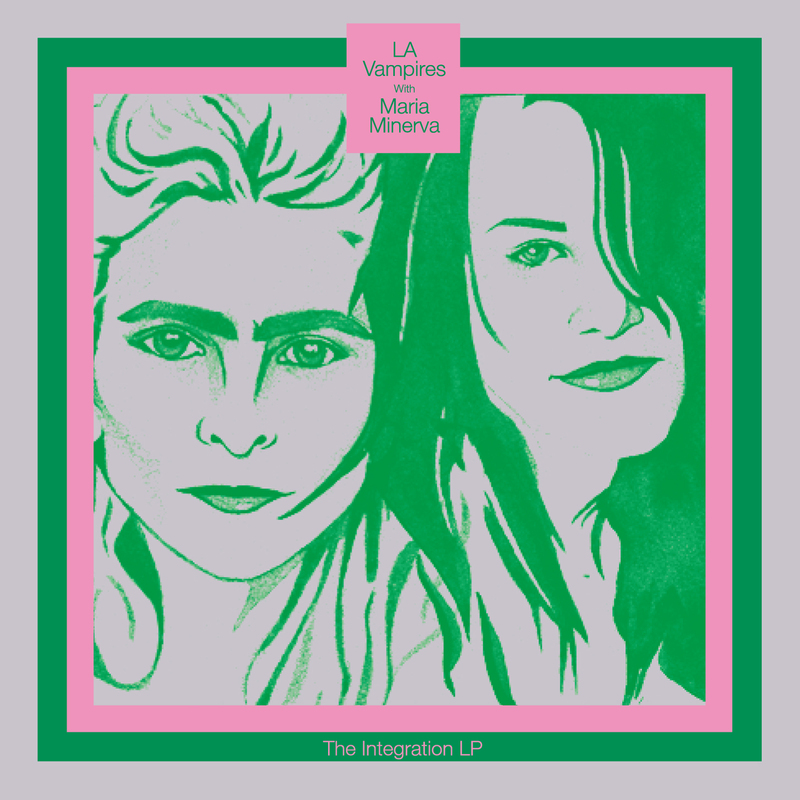 Collaborations reap the raddest rewards when the participants succeed in tempting/teasing out the weirder & wilder geographies of their vibe-map venn diagram, and for this reason (among others) The Integration LP is a deep achievement of moodswing motion and freaky feminine mystique. Meshing Maria Minerva’s alienated pop constructs with LA Vampires’ degraded Byronic house birthed a cool niche catalog of unclassifiable style prototypes, from new wave apocalypto to teutonic club dubs to Harajuku romance anthems, all unified by their tag-teamed sisters-with-voices symbiosis. The album’s 9 songs (10 on the CD version) were founded on skrewed LA Vampires beats and tape samples, then shaped by Maria’s psycho-echo vocal melodies, then further articulated by multi-instrumentalist Nick Crozier-Malkin’s synth leads and additional drum programming, before being filtered back through LA’s recordist extraordinaire Brian Foote’s masterboard for micro-edits and fine-tuning. The finished collection is a crooked, captivating composite of bleached out day-glo party music, Percy Bysshe Shelley poetics, reverbed keyboard drama, extraterrestrial romance metaphors, seasonal meditation, and weird world studio wizardry. Another too-true-for-comfort statement from two of today’s most unpredictable nonviolent femmes. Recorded from 2010-2012 in Los Angeles and London. Mastered by Prairie Cat. Cover portrait painting by Katie Vonderheide; design and layout by Rohan Newman. Edition of 650.